Take a trip down the skincare aisle of your local drug store and you’ll be overwhelmed by various products. Add the ones you can find at the makeup counter in your favorite department store, as well as those made by companies with their own retail or mail-order sales, and it can be hard to know exactly which ones to buy. The choice becomes especially overwhelming when you’re looking for anti-aging products to help you look your best. That’s why you need to focus on buying only anti-aging products with beneficial main ingredients like peptides. Keep reading to learn more about peptides and how anti-aging products that incorporate them can really improve your skin. If you’re like a lot of people interested in quality skin care products, there’s a good chance you’ve seen the term “peptides” before. Still, most people really don’t know exactly what that word means. Simply put, a peptide is formed when two amino acids are bonded together to create one substance. 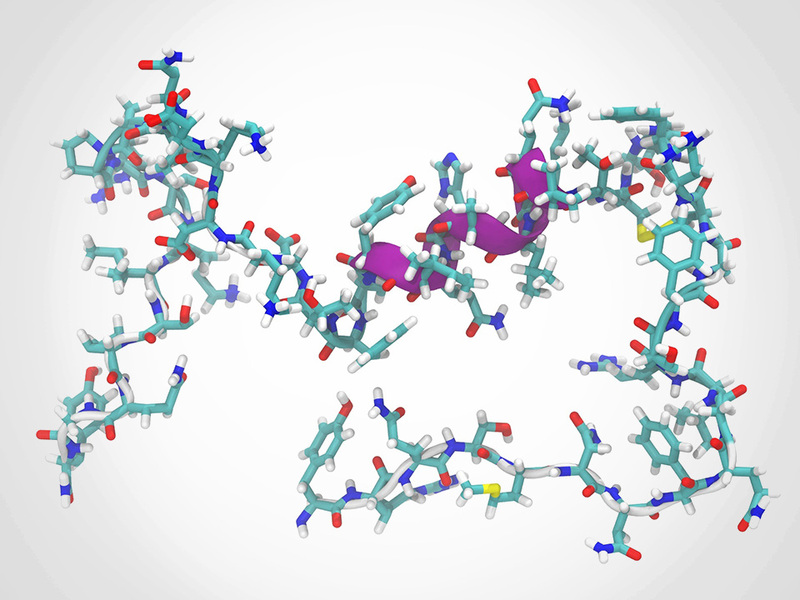 More or less, a peptide is a simple type of protein and some products use more than two amino acid types to create a potentially beneficial peptide. Not every peptide compound is created equal though. Some are used to help people burn fat, while others are commonly recommended to individuals who want to improve athletic performance or build muscle. Obviously these are used in supplement form, not topically. Different types of peptides are used for skin care purposes, and there are many products out there incorporating them. You’ll find a lot of consumers and dermatologists who recommend them. When you want the absolute best for your skin, you need to be shopping for companies using medical-grade peptides designed to tighten, firm and tone your skin. Without a long biology primer, peptide compounds (which are proteins, remember), can be beneficial in reducing skin damage and repairing some of the natural wrinkles that come with age. Most products that contain any sort of peptide are designed for topical use. Generally, you’ll use these products once or twice per day just like you would use a moisturizer or any other type of skin care product. There are a lot of products out there containing peptides, but like most skin care products out there, there’s a good chance you’re not really getting everything you’re paying for. When you buy Elite Serum Rx, you get a product made with a concentrated variety of powerful, medical-grade skin care peptides. Elite Serum Rx also contains haloxyl, argireline, matrixyl, inyline and eyeliss, making it one of the best eye cream products out there. Whether you’re fighting the first signs of aging, or you’re looking to turn back the hands of the clock as far as possible, Elite Serum Rx should be a major part of your daily skincare routine. Contact Elite Serum Rx to learn more about our skin product and what peptides can do for your skin. By reducing under eye circles and crow’s feet, Elite Serum Rx products can help your eye-area skin look and feel its best.